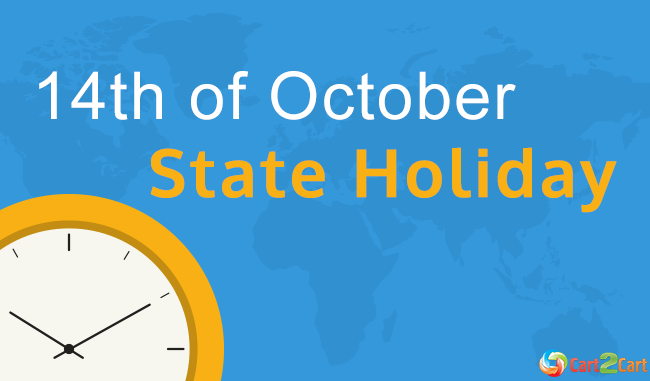 Due to the state holiday, Cart2Cart Team will provide limited support on October 14. You will have a chance to reach out our Support Team by submitting your tickets from 11 a.m to 7 p.m. or via live chats from 11 a.m to 4 p.m. (GMT +2) on Wednesday. Thank you for your patience. We will respond to all your requests received during this day as soon as possible and provide you with the immaculate service afterwards.